Do you know when those variables get overwhelming? When they aren’t actually yours. We managers have a way of inheriting and collecting periphery. Here’s what I recommend instead. It’s still about articulating an all-you packaging of your values (which is Managing with Aloha at its core), but arriving at them in another way, one which concentrates on action connected to desired change and valued constants. Be the Change you wish to see in your world, while remaining devoted to your Constants. We talk about change a lot, equating it with initiative, innovation and creativity, however we tend to forget those constants we have already invested in, constants which keep us grounded, confident, steady and sure. Your list should describe your future. Identify what you want it to be, so those wants can guide you forward. Be as specific as possible, for specific detail is more conducive to revealing action steps you can take. Your values will provide the ‘why.’ When you can tap into it, ‘purely instinctive, gut-check’ wanting gives voice to your values — you’ll be able to read between the lines, and get clarity on what your values are all about, and not theoretically or historically, but right now, for today, and for ‘Imi ola— a creation of your best-possible future. I want to work on ______, and not on _______. I want to forge a partnership with _______, so we can work on __________. I’d love to see the day that we _____________ all day long! I want to keep learning about _____________, so we’ll be able to _________. Bet you can take it from there! The first step in articulating the workplace culture you want is usually to be more selfish — yes, selfish, as in self-aware. Focus is all about energy management: Self-manage (channel your energy) and self-lead (create fresh energy) before you presume to create workplace culture for anyone else. It evokes the oxygen mask theory: You can’t save anyone else when you can’t breathe either. In clarifying your change and your constants, you define your stretch while holding on to your keepers. 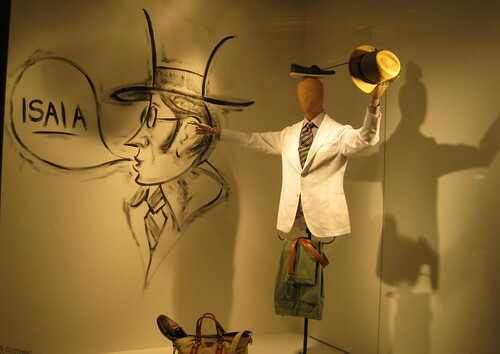 You also couple your form and function without interruption (i.e. your on-going productivity and business of life), for balancing Change and Constants is simply a way you sort through the clutter of life, and focus on what’s important to you. For instance, here on Talking Story you often read postings where I seem to question, dabble, and experiment: I especially love 90-day projects as a gift-boxing of my still-tentative change. When I wrap up those projects, I weave them into my Ho‘ohana Story somehow, for my constants are about Aloha (defined here), Ho‘ohana (worthwhile work), and ‘Ike loa (intentional learning). Over time, my keepers in the MWA culture became the 19 values in my book, and the 9 Key Concepts. The early sentences on my List of Wants moved into statements like the 10 Beliefs and Core 21. If you pull out your list every time you do a Weekly Review, you can revise it with constantly freshened relevance. When something no longer sounds like a Burning Yes, just cross it off the list and add what does. Trust me: If you can make this simple process your new habit, your desired workplace culture will be steadily revealed to you. And remember… You are Your Habits, so Make ‘em Good! Write it down: Gut-check list your wants as either Constants or Change. Create your future: Allow that list to set your priorities, and be your values-based focus. Feel good about it: You’ll get a good grip on your best energies. Share it: The Workplace Culture you champion will be the great result. I’ll be Change, and I’ll be Constant. I’ll be the Culture of my Future. Write it on a post-it and tape it on the mirror where you brush your teeth each morning, then Ho‘ohana — make it happen. Me saying I’m a workplace culture coach is just another way of saying I coach managers. Plain and simple (and complicated and messy) managers create the culture which exists in every workplace. Every other variable is just more noise or window-dressing. Our challenge, is that the vast majority of workplaces aren’t set up so managers can spin their magic. “For Borders, which first opened in 1971, the end began when it was sold to K-Mart in 1992. By the time I got there, three years later, only a few of the stalwart Borders believers remained to try to change the store from within. Within a few months of my arrival, Neil gave up and retired to play in his band, The Human Rays. I don’t know if the band was real or Neil just thought it was amusing to retire and join The Human Rays. His friendly management style didn’t jibe with the new owners. 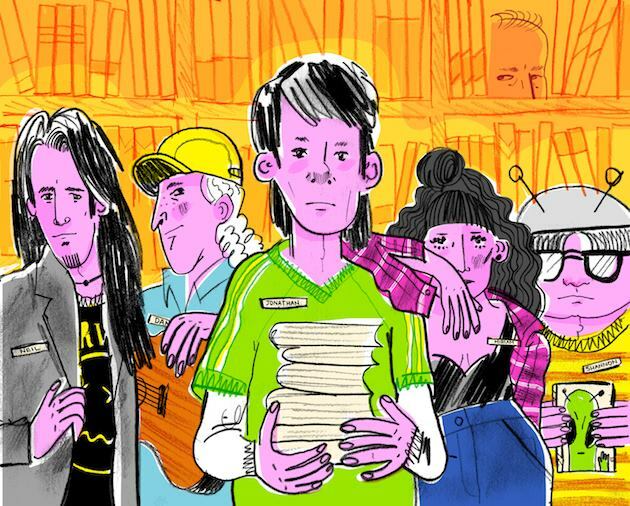 Extra points: After you read the complete essay, do read the comments, where other former employees and managers weigh in. Old Rules, your days are numbered! I’ve been doing quite a bit of one-on-one coaching lately. People are reaching out for help as they encounter the new world of work, and I’m happy to help as I can. We always start with them describing their ‘new world’ for me, and I’m consistently amazed by how many old rules remain in play, erecting these obstacles that people struggle to understand. Thus, most of the coaching I offer has to do with managing up, and building better relationships with the people they feel are in charge, and in control at their workplace. Our goal is always positive movement forward: We want to forge a better workplace partnership for them, and more often than not, the boss-employee relationship is the one we address. Old rules are dispensed by old-thinking managers. By worn out, tired managers. By lazy and careless managers, and managers who are stick-in-the-mud stuck. Surely those managers are not you! If you are a manager, please stop for a moment’s self-reflection: Are there any old rules you’ve allowed into your workplace culture just because they’re convenient, historical, or worse, because you haven’t updated, replacing them with one of your own value-based rules? A healthy workplace culture isn’t created by rules. It’s fostered by the managers who map out that culture’s movement with relevant values (e-book link), and then allow common sense to rule. 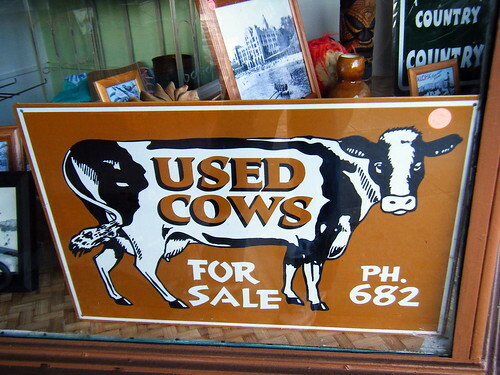 An old rule is a sacred cow which keeps fattening itself up in your pasture, lazily eating your resources and tromping through your meadowland, even though it won’t reciprocate in any way, and won’t contribute to the worthy cause of your business. It’s not a dairy cow, it’s not a beef cow, it’s not the father or mother of a hopeful generation. It’s a costly, expensive drain on the character and health of a place — a scar on your sense of place. 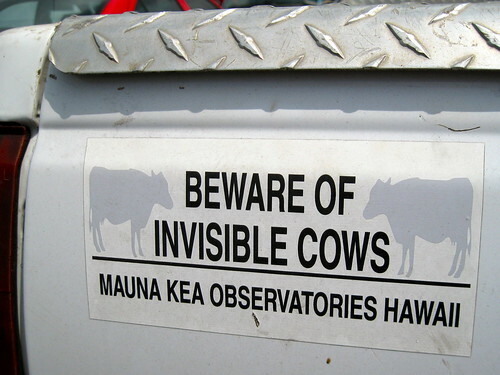 Alaka‘i Managers know they simply can’t afford sacred cows. Not now, not ever. Sometimes, old rules are self-inflicted. People assume they have to follow them, when in fact, they don’t. No one else notices (no manager cares enough), and people continue down the wrong path. It’s a path paved with frustration, and one road block after another. Issues define problems. People define potential. In most organizations large enough to have different divisions, there’s been a long-standing old rule that “we don’t transfer problems.” It started with good intentions (most rules do) connected to keeping buck-passing out of the workplace with the culture-driven, value-aligned encouragement to own your problems, confront them head on, and solve them in a way that completely ferreted out any deeply rooted causes. If a problem or issue started with your division, chances are you remain closest to it; your team is likely the best team to address it. Here’s where that old rule went wrong: We didn’t keep it focused on issues. We applied it to people who didn’t fit in the team or boss-subordinate equation for some reason, and it became an unspoken HR rule everyone towed the line with: ‘Problem people’ weren’t ever transferred either — and more often than not, they can be, and should be as a strategy of optimal workforce development; abundant choice is one of the advantages of larger organizations! Misjudged people have become our good people souring in poor places, feeling hopelessly stuck or stereotyped. They never had a chance with finding their right fit and new lease on life elsewhere in the company — they were ignored or put out to pasture with progressive discipline, and their true strengths were never revealed. Their managers were tacitly allowed to dismiss them. It’s been tragic, and still is, the number of times someone representing a wealth of experience and future potential is named a “problem child” because their manager fails to create a powerful partnership with them, and no one else will give them a chance. We are seeing how this old rule turned assumption keeps fresh talent out of hiring as well, because of the chronic dysfunction in the referral process: We still see scarlet letters on applicant chests, and fail to question the other people who put them there. Coaches like me do a lot of Ho‘ohanohano work with giving people their dignity back: We have to convince them they aren’t broken, that they are strong and worthy, and they do have the talent, skills, and knowledge someone in their world is just chomping at the bit for. We get them to own it and bring it as a golden partnership ready to happen, and happen quickly: We help them define these things with useful and relevant clarity, so they can apply them with a positive outlook and renewed sense of optimism. And not just coaches like me. That’s what ALL Alaka‘i Managers do. What other old rules are still roaming your workplace meadowland? Question and freshen your rules constantly. Rules can be good. For instance, I use them to clarify our managing and leading verbs, but if you use them, honor them in a Language of Intention. Be sure they’re YOUR rules and not assumptions you’ve allowed into the culture which were actually inherited from someone else’s intentions and values. You may recall that I wrote a twice-weekly column for Hawai‘i’s daily newspaper The Honolulu Advertiser from November 2008 through May 2010, when the paper was sold, and became The Star Advertiser. I was invited to continue writing Say “Alaka‘i” but declined, deciding it was a good time to return here to our Talking Story mothership instead. With this step, the Star-Advertiser joins scores of other daily newspapers in communities large and small across the country, from The New York Times and Dallas Morning News to the Albuquerque Journal and The Citizen in Key West, Fla., that charge to view their online content, said Star-Advertiser publisher Dennis Francis. 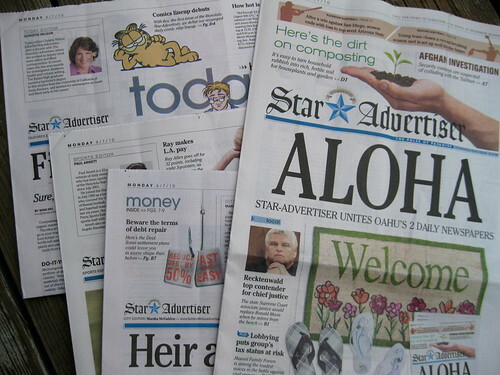 Yes and no… The Star Advertiser was very gracious in keeping the Say “Alaka‘i” archives accessible up to now, but with this change you will find that you can no longer read them there. The good news is that I had always retained full publishing rights to my old columns, and you can access them here on Talking Story. To do so, scroll down the right column of the blog to the drop-down menu titled “Search Talking Story by Category” and select the 3rd option: Columns: Say “Alaka‘i.” Here’s a link if you prefer to bookmark it in your browser. The still-challenging part, is that I have an awful lot of links to be corrected here within the Talking Story pages too, though mostly in the older postings archived. So meanwhile, the quickest do-it-yourself-trick, is with the magic of search: Copy the title of the post you’re looking for into the blog search box (in the right column, directly below that category drop-down) anytime you get to a broken link. Do it here and your results will be here, and not web-wide. Remember to put quotation marks around the complete title for a more focused search, and you should be able to get to the right page pretty quickly. If not, send me a note and I’ll very happily find the article for you. Mahalo for your patience, and thank you for reading, and for continuing to be here.